You’ve written a great script. You’re perfectly focused on your video capture device. And your new microphone is recording great audio. Ah yes, you forgot the mise-en-scene. 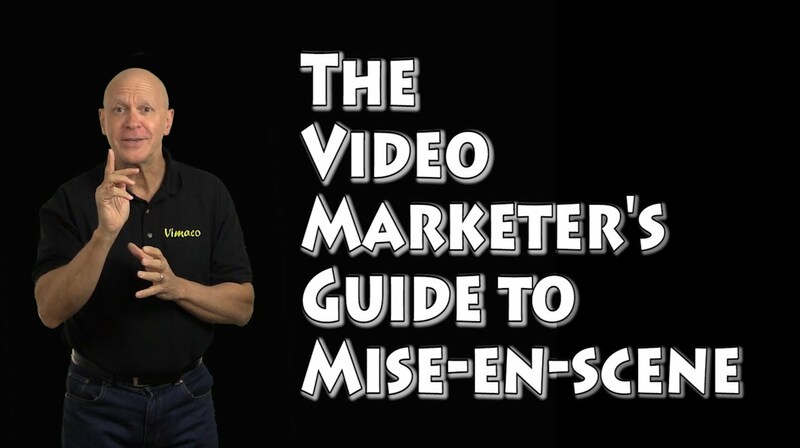 What is the mise-en-scene? Let me explain. Mise-en-scene is a French theatrical term for “placing on stage”. Its the visual telling of a story using everything you see on the stage or within a video frame. Imagine an empty theatre stage or a film studio. This is how it all starts – with nothing. Everything that is placed in this space has a purpose. It’s either to help develop the plot or storyline, set the mood or define the character. The mise-en-scene includes the setting or location of the video, the actors or presenters, the costume, makeup, props, the lighting and the space. Everything that you see in the frame, is placed for a specific reason. There is nothing left to chance. Now for most business owners that create their own videos, they don’t start with an empty space or studio. They usually use an area that is convenient to shoot their video. When they are filming, they are focused on the presenter and they’re not as aware of the surroundings or what else is in the frame. The problem is that the rest of the visuals that are in the frame may not be supporting what the presenter is trying to say in their video. In fact there maybe a direct conflict. Now as an audience, when we watch a video with mixed messages, we may not be consciously aware of what exactly is wrong with the video, but when feel it isn’t right, then won’t buy into the message. Is what you are wearing supporting your role? Is the background too busy or worst still, more interesting than your you? Personally I like to use a plain background which keep the audiences’ focus on the presenter. Then I can use graphics in the background to support my message. Here’s a good tip – where ever you shoot your video, take your subject out of the shot before you start and have a close look to see what is in the frame and be sure it supports or at least, does not distract from your message. Better yet, use a green screen. And I’ll cover that, in my next video. Until then, happy video marketing.